The stunning grand finale of Miss France 2018 concluded with the crowning of Eva Colas, Miss Corsica 2018, as Miss World France 2018. She was crowned by and succeeds Aurore Kichenin Miss World France 2017, and will now represent France in Miss France 2018 international beauty pageant to be held next year. She was the 1st runner-up at Miss France 2018. Eva is 21 years of age and stands tall at 170 cm. Originally from Bastia, Eva Colas represented Corsica in Miss France 2018. Born on 21st October 1997, this young woman who has always lived on the Island of Beauty is a teacher in the Institute of Heritage Management of the Paris Dauphine School. Eva Colas is currently a Master's student in wealth management at Paris-Dauphine. She graduated in 2014 with a Baccalaureate with the highest honors. The young woman was pushed to participate in the Miss France contest by Sylvie Tellier in person. Fashion addict and fan of beautiful things, she is a member of the Luxury Club of Paris Dauphine University, the communication center: a networking club between Dauphine students who predestined in the luxury trades. It is also a great sportswoman. She practices tennis, swimming, water skiing and scuba diving and has been riding for 13 years! After being first runner-up for Miss Bastia 2017, then Miss Porticcio 2017, Eva Colas won the title of Miss Corsica 2017. 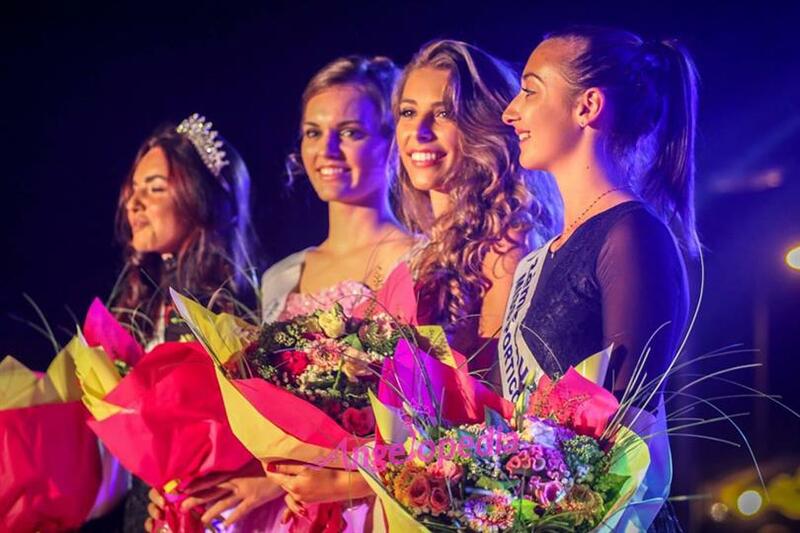 The 21-year-old woman succeeds Laetitia Duclos, Miss Corsica 2016. At the same event, Maëva Coucke, Miss Nord-Pas-de-Calais 2017, was crowned Miss Universe France 2018 and she is expected to represent France in Miss Universe 2018. Top 5 also included Lison Di Martino Miss Île-de-France 2017 (second runner-up), Safiatou Guinot Miss Champagne-Ardenne 2017 (third runner-up) and Audrey Chane-Pao-Kan Miss Réunion 2017 (fourth runner-up).